When Is It Necessary To Remove Natural Kidneys From Chronic Kidney Disease Patients? "My Doctor is recommending that I remove both of my kidneys because they are no longer functioning and could contract cysts which could be Cancerous. What should I do?" Many Chronic Kidney Disease patients are met with the dilemma of whether to conduct a Nephrectomy (removal of kidney(s)) due to health concerns. Although your kidney may be enlarged and non-functioning it does not necessarily need to be removed, unless it contains stones, a tumor or an infection that could be dangerous if left inside the body. Very rarely does a non-functioning kidney cause damage though some may see kidneys that do not function as a "waste of space" and encourage you to remove them to avoid any future complications. However, all surgeries involve risk and if your Nephrologist does not find it absolutely necessary, you may consider leaving your kidneys in place. But if there is suspicion of a malignant tumor, either in the kidney itself or in the outflow tract (ureter), then obviously further diagnostic testing is necessary, and it may be in your best interest to remove your kidney(s). Some Transplant Centers will require that you remove one or both kidneys before a Kidney Transplant if they are unsure whether the kidneys are potentially Cancerous or are likely to contract infection, often due to bleeding cysts. Currently, there are three basic types of kidney removal surgeries, but the one that works best for you depends on your diagnosis and the recommendation of your healthcare team. Laparoscopic Kidney Removal - Your surgeon will make 3 or 4 small cuts, usually no more than 1-inch each, in your belly and side. S/he will use tiny probes and a camera to do the surgery and place a bag around the kidney to pull it through a larger cut. This surgery may take longer than an open kidney removal. However, most people recover faster and feel less pain afterwards compared to open surgery. Simple Nephrectomy (open kidney removal) - You will be lying on your side. Your surgeon will make an incision (cut) up to 12 inches long. This cut will be on your side, just below the ribs or right over the last ribs. Muscle, fat, and tissue are cut, moved and your surgeon may even need to remove a rib to complete the procedure. The tube that carries urine from the kidney to the bladder (ureter) and blood vessels are cut away and the kidney is then removed. The cut is closed with stitches or staples. Radical Nephrectomy (open kidney removal) - Your surgeon will make a cut about 8 to 12 inches long. This cut will be on the front of your belly, just below your ribs. It may also be done through your side. Muscle, fat, and tissue are cut away and your kidney is removed. 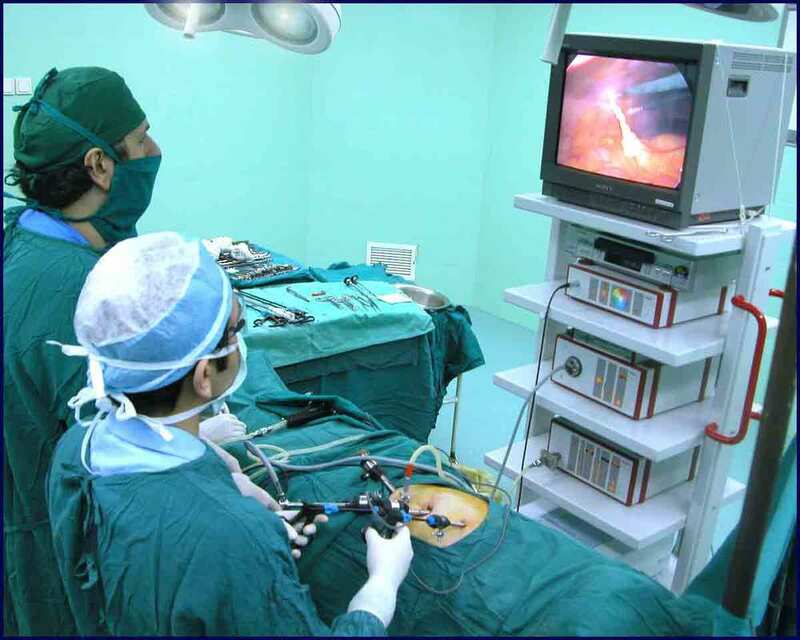 Your surgeon will also take out the adrenal gland and some lymph nodes. The cut is then closed with stitches or staples. CKD patients who have done the operation have noted that, "I spent seven days in the hospital followed by seven days in bed at home." After that they were "pretty much" back to normal as long as they "took things slowly." Within three weeks others were able to drive, cook and walk around the mall." The first week in the hospital will likely be the most painful especially if you have an open kidney removal. If you are planning a Nephrectomy, mentally prepare yourself to see an up to 12 inch incision because it can be distressing at first. After seven days some have stopped taking painkillers, but their staples caused them discomfort because they could feel them pinching and pulling with every movement. Once the staples were taken out the only pain came from "moving too quickly or sneezing." One patient who underwent the surgery said that "It was worth it, I'm doing great today!" Determining whether a Nephrectomy is best for you should be dependent on your personal feelings as well as consultations with your healthcare team. If you are hesitant, that is understandable because all surgeries are dangerous and if you do not agree with your primary Nephrologist's recommendation KidneyBuzz.com encourages you to get a second opinion. However, if you are seriously considering a Nephrectomy then you should discuss all possible risks and potential benefits with your Nephrologist prior to kidney removal surgery. After your operation monitor bruising, avoid infection and inform your healthcare team about any continued pain. "When Is Kidney Removal Necessary?" EverydayHealth.com.